There is a time in your life where you might feel like having a baby with your spouse/partner. You have to think about this decision A LOT. You cant just go for it for the wrong reasons. I have reasons why you should not have a child yet. I hope this blog helps you make the right decision at this point in your life wherther or not to bring a child into this world. Before bringing a child into your world, you have to be able to support it. You have to consider whether or not you and your spouse can stay together so you can BOTH support this child. This baby could ruin your relationship, and to leave a child with a step parent, or even leave this baby with a single parent that could give this child a terrible life. 67% Of couples report having more arguments in the first year after their first child is born. With 40% less sexual activity in this first year. This could potentially break your relationship or even make you resent your partner. This child is also hard on your income, you have to be able to successfully support this child both financially and emotionally. Children are delicate, especially at a young age. 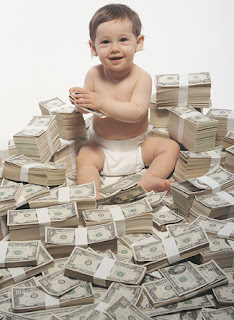 Many couples have financial problems after having a child. In fact, Raising a child costs around 200,000 DOLLARS. 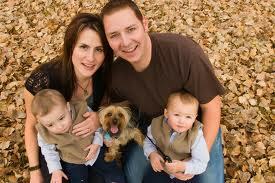 Couples with children are also twice as likely to file bankruptcy. Bankruptcy can cause a lot of stress on you, your relationship, and your child or children. These children can cause a LOT of stress.. Sexual activities among couples dropped 40% after having a child, 70% of mothers say that feel irrational rather than concern when there baby is crying, and 12% of mothers said their child caused their divorce. These children can do a lot more harm than good if you dont know when to have one. These are GREAT examples of why not to have a child until you are ready financially and emotionally. Your relationship must be very stable also. I strongly urge to to go through this blog and even do more research on why not, or when when to have a child. If you dont pick the right time to have this child, it could probably ruin your life. If you pick the right time to have a child it could possibly make your life even better. Please consider these reasons, and make a smart decision. Good luck on your future life with or without a child! Choice of topic: Why you should not have babies. I think that this is a good topic because people should hear the down side of having children so they can truly see if they are ready to have a kid. Originality: The originality is good because I don’t think that this is a topic that pops in too many heads right away. Appropriate / Relevant Pictures: Yes it is appropriate and has pictures that show some benefits. Formatting (Text & Pictures):It was easy to read and the pictures where a nice break from all the words. Working Links: There are none. Recommendations for making the essay better: Could have got more information. How did the essay change your views about the topic? It makes you want to double think a bought the whole kid thing. Working Links: yes, but they only had one link. Visually Appealing: okay, a little off because of the difficulty in the formatting but still nice. Recommendations for making the essay better (spelling, grammar, pictures, facts, etc. ): correct the formatting, fix the grammar mistakes, add labels, and a few more links. How did the essay change your views about the topic? : reinforced the fact I don’t want kids yet. Appropriate / Relevant Pictures: Pictures were relevant to text and topic. Formatting (Text & Pictures): Formatting of the pictures could have been a little better. Visually Appealing: Yes, although it was a little difficult due to the formatting. Recommendations for making the essay better (spelling, grammar, pictures, facts, etc. ): Possibly using more then one source to get more information, and changing the title to "Making the decision to have a baby." or something similar because the essay was more about making the decision then being against having a baby. How did the essay change your views about the topic? It didn't change my views, merely reinforced the fact that I don't want kids at this time in my life.